The future of the optical industry was on display at the recent Vision Expo West and its name is technology. Browsing through the exhibitor booths and attending some of the presentations, it was easy to see why technology was on everybody’s lips. As 2018 rolls out, the top lens manufacturers in the industry are focusing on their technological advances in the field, while at the same time bringing unique offerings that set themselves apart from their competition. This focus was clearly visible at Vision Expo West in the form of optical machines and process solutions for the development and production of lenses for labs of all sizes. Labs make a large investment in equipment for lens processing such as grinding, surfacing and edging. Controlling all parts of the lens manufacturing process is lab management software. And the backbone of the whole lab operation are the servers on which the lab software sits. With many labs running flat out or processing hundreds of jobs a day, continuous operation is also a significant competitive advantage. Surprisingly, many labs are not well prepared for a server interruption caused by hardware failure or power spikes or HVAC breakdown or even human error. It’s an imperfect world and sometimes things go wrong which may result in production coming to a halt. Fortunately, there is a perfect solution for imperfect conditions and it’s called High Availability Software. Its intelligent software integrates with replicated storage and full hardware redundancy to create a resilient backbone to help power lab operations. 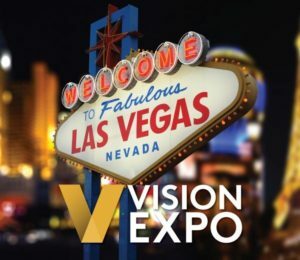 As a leading provider of high availability solutions, we used the Vision Expo event to connect with existing customers (bringing them up to date on our latest innovations). This was also an opportunity to reach new prospects and to demonstrate the value of our solution – simplified system administration, lower costs and greater system reliability. Our solution and our discussions with clients and prospects at the event helped to put a tighter focus on the importance of having a strong IT infrastructure backbone to support the technology in the lab and to ensure continuous operations. And it proves that when it comes to technology in optical labs, there is more than meets the eye!